"Celestial" a 108-bead mala with glittering pave rhinestone arrowhead. These agate moon beads are the last of a stock that is no longer being made. I have only 3 more strands so I'll be making up a collection of goodies in the celestial family. 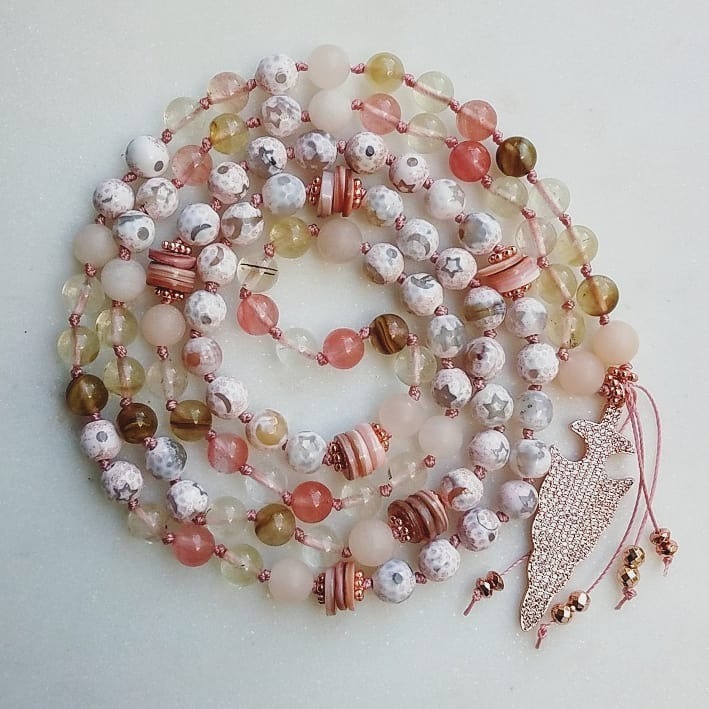 This mala includes freshwater shell with copper tone and rose gold accent beads. The arrow is a sign of alertness. 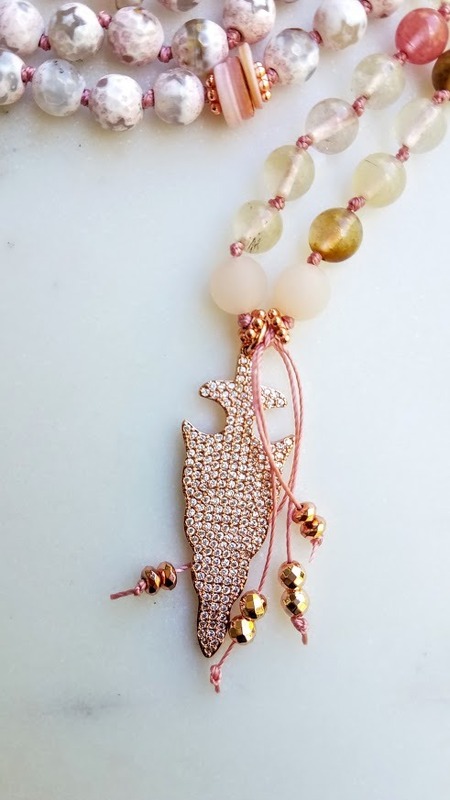 Intentionally designed for a astral travel and dream work. 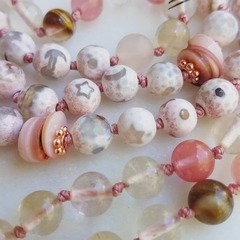 Soft tones of pale rose and burnt sugar combined with fresh, white moon & stars are embraced with slices of luminous pink shell and copper accents.